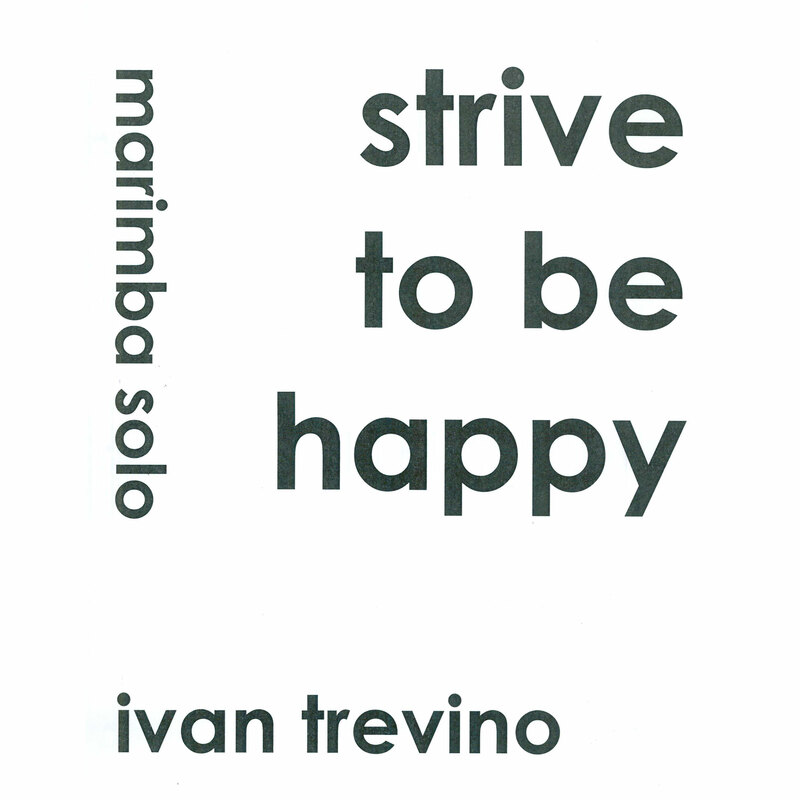 Strive to be Happy by Ivan Trevino is a simple, pretty marimba solo written for a 4.3-octave instrument. 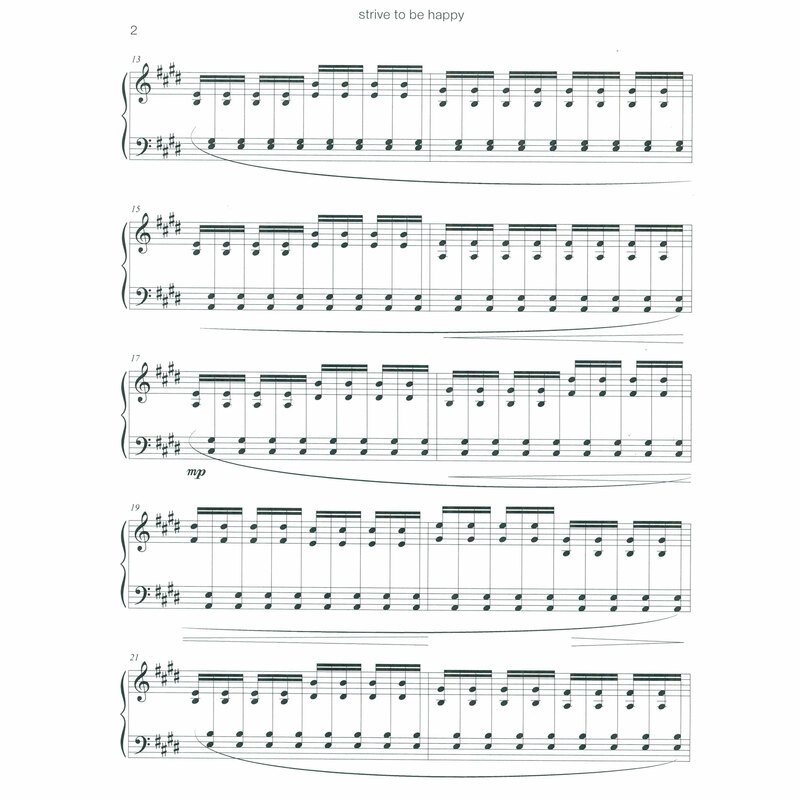 Most of the piece is composed with alternating double vertical strokes, creating a "metered chorale" of sorts. Great piece and it was fun to play, Trevino was also very personal and kind. 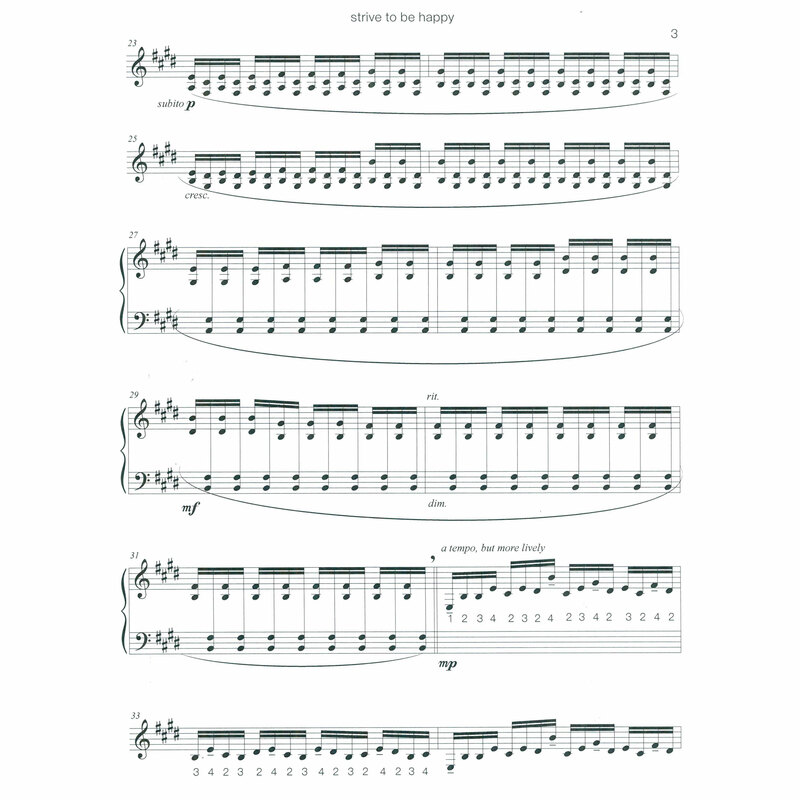 One of my favorite solos.